The number one reason commercial clients outsource their cleaning needs to professionals like Summit Janitorial is peace of mind in knowing that the job is done thoroughly and professionally every time. Commercial clients often have other matters to attend to, besides thinking about janitorial services, to ensure that their commercial facilities are always as cleans as they can be. Summit Janitorial specializes in commercial janitorial services; we are commercial cleaning experts. Customers notice the cleanliness of office and retail space. More than that, clean work areas are safer and promote a healthier environment. Clean and tidy professional environments also just look better. Businesses who only clean sporadically or use unskilled or untrained part-time labor, may not be casting the very best impression every time. Clean floors, emptied refuse bins, the availability of toilet paper and soap, and clean facilities each go a long way to projecting the type of image any business owner seeks. Hiring professional cleaners to maintain these areas on a regular basis gives owners and managers peace of mind. It also shows a higher level of consideration for employees, customers and guests of the business. Slips and falls are a major source of preventable injury in the U.S. workplace. 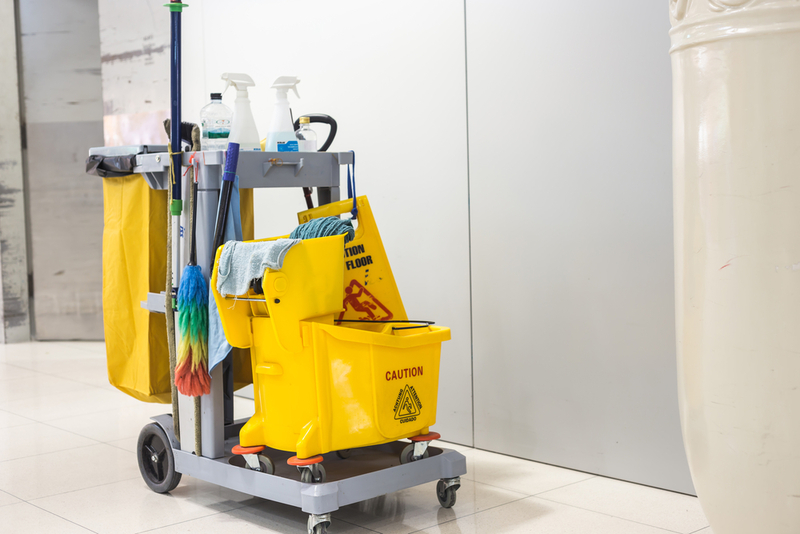 Regular custodial service can go a long way toward de-cluttering prone areas before they become slip and fall hazards. Further, viruses and bacteria associated with colds, flus and a host of other illnesses can quickly render an entire workforce ill. Scenarios like this are easily avoided with regular, professional janitorial service: dusting, cleaning and sanitizing. Clean surfaces and good air quality pays dividends in worker quality-of-life and productivity. Central to the happiness and well-being of all employees is a company’s bottom line. Regular, professional cleaning service can save unknowable costs down the line. Costs in the form of lost time due to injuries and illness, lost sales potential and those associated with employee morale. The value of employee morale and retention through simple measures, such as outsourcing janitorial work to professionals, cannot be underestimated. Clean, healthy and safe businesses have happy employees. Well-maintained, tidy commercial facilities inspire happy and productive workers. They also demonstrate pride of business ownership to customers and business partners. Employees enjoy working and are able to perform to the best of their abilities in safe and productive workplaces. Professional janitorial employees are well-equipped to meet the needs of all cleaning services. Why ask a salesperson, engineer or other professional to spend part of their day performing janitorial work? No matter what the business, employees are better-off serving the needs of their customers rather performing janitorial work. Janitorial work can be done in a more thorough, professional and timely manner by experts who specialize in only that. Leave the cleaning to the professionals and free your and your employees’ time for more important things: like running your business and serving your customers. Show your employees, customers and guests the highest level of courtesy possible. Outsource your business’ cleaning to the professionals at Summit Janitorial.